August 25, 2001 -Aaliyah Dana Haughton (January 16, 1979 – August 25, 2001) died in a small plane crash after take off in the Bahamas, ending a very promising career in music and acting. Born in Brooklyn, New York, and raised in Detroit, Michigan.Born Aaliyah Haughton in Brooklyn, N.Y., she made her stage debut as an orphan in a production of “Annie” at the age of 6. 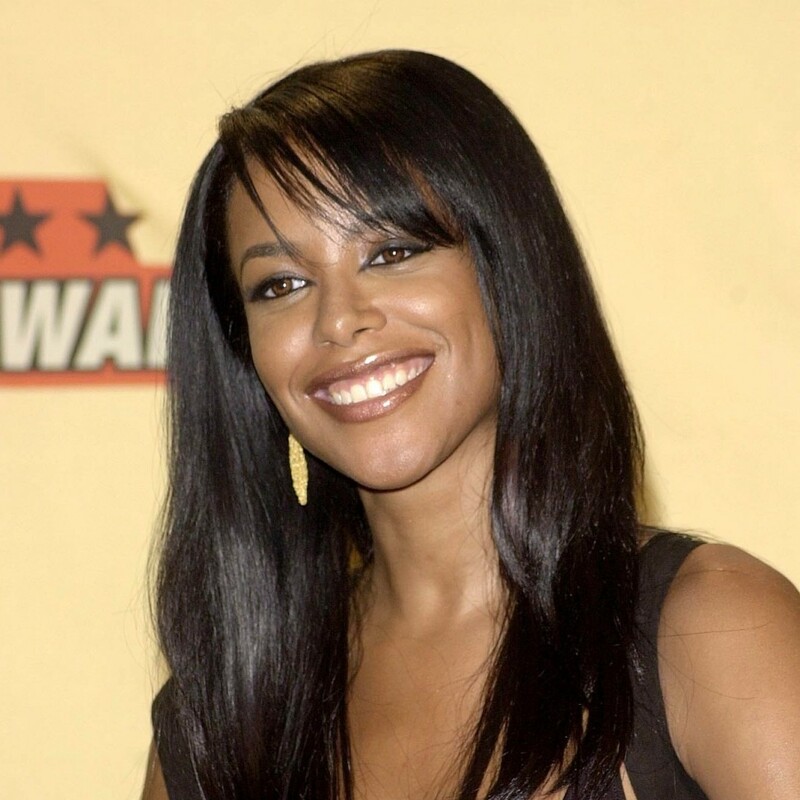 Her uncle was married to soul singer Gladys Knight, who invited Aaliyah to perform with her during a five-night stint in Las Vegas at age 11. At the age of 10, she appeared on the television show Star Search and performed in concert alongside Gladys Knight, who was married to her uncle. Aaliyah’s song “Try Again” earned her a Grammy nomination this year for her best female R&B vocalist. In 1996, she released her second album and the single “If Your Girl Only Knew” went double platinum. March 19, 1982 – Randall “Randy” Rhoads (Quiet Riot/the Blizzard of Ozz) was born in Santa Monica, California on December 6, 1956. Randy started taking guitar lessons around the age of 6 or 7 at a music school in North Hollywood called Musonia, which was owned by his mother. 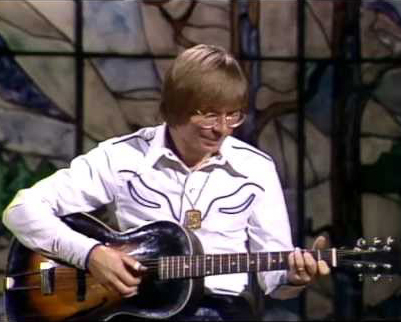 His first guitar was a Gibson (acoustic) that belonged to Delores Rhoads’ father. Randy and his sister (Kathy) both began folk guitar lessons at the same time with Randy later taking piano lessons (at his mother’s request) so that he could learn to read music. Randy’s piano lessons did not last very long. At the age of 12, Randy became interested in rock guitar. His mother, Delores, had an old semi-acoustic Harmony Rocket, that at that time was almost larger than he was. For almost a year Randy took lessons from Scott Shelly, a guitar teacher at his mother’s school. Scott Shelly eventually went to Randy’s mother explaining that he could not teach him anymore as Randy knew everything that he knew. When Randy was about 14, he and his brother formed their first band, Violet Fox, named after his mother’s middle name, Violet. With Randy playing rhythm guitar and his brother Doug playing drums, Violet Fox were together about 4 to 5 months. Randy was in various other bands, such as “The Katzenjammer Kids” and “Mildred Pierce”, playing parties in the Burbank area before he formed Quiet Riot in 1976 with longtime friend and bassist Kelly Garni. Randy Rhoads and Kelly Garni (whom Randy taught to play bass guitar) met Kevin DuBrow through a mutual friend from Hollywood. Around that same time Randy began teaching guitar in his mother’s school during the day and playing with Quiet Riot at night. Originally called “Little Women”, Quiet Riot were quickly becoming one of the biggest acts in the Los Angeles area and eventually obtained a recording contract with CBS/Sony records, releasing two full length l.p.’s and one e.p. in Japan. In late 1979, at the encouragement of a friend (Dana Strum), Randy went to audition for a band being put together by former Black Sabbath lead singer, Ozzy Osbourne. As the story goes: Ozzy had auditioned just about every guitarist in Los Angeles and was about to go home to England, the hopes of a new band washed away. Enter Randy Rhoads. Randy wasn’t completely interested in auditioning, he was happy with his current band and thought that this audition wouldn’t amount to much. Randy walked into Ozzy’s hotel room late one evening with a guitar and a small Fender practice amp, plugged in and started tuning his guitar and began to do a few warm up exercises. Ozzy was so impressed with his warm up that he instantly gave him the job as lead guitarist at the age of 22. Ozzy began to assemble a band that would (ultimately) record his first two solo albums. A) With Ozzy Osbourne, Randy Rhoads, bassist Dana Strum (Slaughter), and drummer Frankie Bannalli (Quiet Riot, W.A.S.P. ), the band began to rehearse in Los Angeles, California. However, when it came time to go to England, where Ozzy’s albums would be recorded, the record company could only obtain a work permit for one non-English band member, Randy Rhoads. B) Drummer Lee Kerslake (who played on both of Ozzy’s solo albums) auditioned and got the position. A few weeks later while in England, Ozzy happened across Bob Daisley. Boasting about this guitar player he’d found, Ozzy convinced Bob to join his band. A few weeks later they began to rehearse for the first album in Los Angeles, California. C) Ozzy already had a few band members when he met Bob Daisley, who would be the only one to continue on in the band. 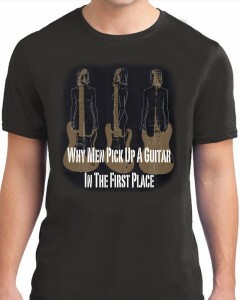 Randy Rhoads was added shortly thereafter. Lee Kerslake was the last member to join as well as the last drummer to audition. They rehearsed and wrote the first song in England before embarking on a UK tour towards the end of 1980. Randy was whisked off to England shortly before Thanksgiving of 1979 where, at Ozzy’s home in England, they began to write the “Blizzard of Ozz” album and audition drummers. While the band rehearsed at John Henrys, a rehearsal hall in London, the earliest public performances of Randy Rhoads and Ozzy Osbourne came after they’d complete a song, then go to a local pub to play the song for whoever was there. They played under the name “Law”. One such song – Crazy Train, appeared to get the audience moving, leading them to believe that they “had something”. With ex-Uriah Heap members: Lee Kerslake (drums) and Bob Daisley (bass), the Ozzy Osbourne Band entered Ridge Farm Studios in Surrey, England on March 22, 1980 and began recording for almost a month. “Blizzard of Ozz” was originally to be mixed by Chris Tsangarides who was fired after one week because Ozzy felt that it “was not happening” with him. Max Norman, Ridge Farm Studio’s resident engineer, was then hired to pick up where Chris left off and would play an integral part of both Ozzy Osbourne studio albums and the live EP, as well as later down the road with “Tribute”. After the finishing touches had been put on “Blizzard of Ozz”, Randy Rhoads returned home to California in May of 1980, where he teamed up one last time with the members of Quiet Riot at the Starwood club in Hollywood for their final show. However, this would not be the last time he played with Quiet Riot bassist Rudy Sarzo, who would later join Ozzy Osbourne’s band just before the start of the United States Blizzard of Ozz tour. Once back in England, the Ozzy Osbourne Band surfaced for their first official show on September 12, 1980 when 4,000 fans broke the box office record at the Apollo Theatre in Glasgow, Scotland. “Blizzard of Ozz” went straight into the U.K. charts at number 7 as they toured around the United Kingdom for close to three months playing 34 shows. Sales of Blizzard of Ozz more than doubled with each U.K.town they played. December of 1980 brought Randy Rhoads back home to California for Christmas. Once again Randy wanted a custom guitar built, this time he went to Grover Jackson of Charvel guitars, about a week before Christmas. With a drawing scribbled on a piece of paper, Randy Rhoads and Grover Jackson created the very first “Jackson” guitar to ever be made. Randy’s white flying V type guitar was yet another guitar that would become synonymous with the Rhoads name. The finished guitar was sent to Randy in England about two months later. During the months of February and March of 1981, the Osbourne band once again entered Ridge Farm Studios to record their second album titled “Diary of a Madman”. With an impending U.S. tour to follow soon after the recording of “Diary”, the actual recording of the album became rushed. (Randy’s solo on “Little Dolls” was actually a scratch solo and was not intended to be the solo for the finished song.) None of the bandmembers could be present for the mixing of “Diary”, which only furthered their already mixed feelings of the album. With “Diary of a Madman” already recorded but not yet released, the Osbourne Band began it’s North American tour in support of “Blizzard of Ozz”, beginning in Towson, Maryland on April 22, 1981. Though they did not play on either studio efforts, Tommy Aldrige (drums) and Rudy Sarzo (bass) joined Ozzy’s band in time for the North American tour. They toured across North America from May through September of ’81 playing songs from “Blizzard of Ozz” as well as “Diary of a Madman”, with a few Sabbath songs thrown in to close their shows. Choosing to headline their tour instead of going on a bigger tour as a support act paid off as “Blizzard of Ozz” went gold (500,000 albums sold) in 100 days, though in some of the smaller cities in the United States, their shows were threatened to be cancelled due to poor ticket sales. In one such city, Providence, Rhode Island, the Ozzy Osbourne Band (along with opening act Def Leppard) was informed by the concerts promoter that (due to poor ticket sales) he did not have enough money to pay either band. Towards the end of the United States “Blizzard of Ozz” tour, Randy once again went to Grover Jackson to have another custom guitar made. He complained that too many people thought his white Jackson was a flying-V. He wanted something more distinctive. A few weeks later, Randy and Kevin DuBrow went to look at the unfinished guitar that Grover Jackson had begun to work on. Once in the wood shop, Randy and Grover Jackson began drawing on this unfinished guitar for close to an hour before a final design was decided upon. Ultimately they came up with a variation of his white Jackson, only with a more defined look to the upper wing of the guitar. Randy would receive this guitar, the 2nd Jackson ever made, just before the start of the “Diary of a Madman”tour. At the time, there were three guitars being made for Randy. He received the first one, the black custom, as they continued to finish the other two. (Unfortunately, one of the two guitars, that were being built for Randy at the time of his death, was accidentally sold at an NAMM show by Grover Jackson.) The third guitar, which Jackson stopped working on at the time of Randy’s death, was later owned by Rob Lane of Jacksoncharvelworld.com. With the release of “Diary of a Madman”, Ozzy Osbourne, Randy Rhoads, Rudy Sarzo and Tommy Aldrige set off to Europe in November of 1981 for a tour that would end after only three shows. The tour had to be cancelled after Ozzy collapsed from both mental and physical exhaustion. The entire band went back to the United States so that Ozzy could rest. They would come back a little over a month later with a four month United States tour to start December 30, 1981 at the Cow Palace in San Francisco and a single (Flying High Again) that was making it’s way up the charts. Traveling with a crew of approximately 25 Las Vegas and Broadway technicians, Randy Rhoads went from selling out Los Angeles area clubs with Quiet Riot to selling out the biggest arenas in the United States on one of the most elaborate stage sets with Ozzy Osbourne. When the “Diary” tour began, their first album, “Blizzard of Ozz” was selling at the rate of 6,000 records a week. Backstage opening night in San Francisco, Randy was awarded with Guitar Player Magazine’s Best New Talent Award. He would also later win best new guitarist in England’s Sounds magazine. With that, the band began an exhausting yet memorable tour that seemed to be plagued with problems. Their concerts were boycotted by many cities while others were attended by local S.P.C.A. officials due to claims of animal abuse. Meanwhile “Diary of a Madman” was well on it’s way to platinum status. With all of this going on around him, Randy Rhoads’ interest for classical guitar was consuming him more each day. Often times Randy would have a classical guitar tutor in each city the band played. It became common knowledge that Randy wanted to quit rock and roll temporarily so that he could attend school to get his masters in classical guitar. Randy also wanted to take advantage of some of the studio session offers he was receiving. There is a rumor that Ozzy once punched him in the face to “knock some sense into him” (literally). March 18, 1982, the Ozzy Osbourne band played what would be their last show with Randy Rhoads at the Civic Coliseum in Knoxville, Tennessee. From Knoxville, the band was headed to Orlando, Florida for Saturday’s Rock Super Bowl XIV with Foreigner, Bryan Adams and UFO. On the way to Orlando they were to pass by the home of bus driver Andrew C. Aycock, who lived in Leesburg, Florida, at Flying Baron Estates. Flying Baron Estates consisted of 3 houses with an aircraft hanger and a landing strip, owned by Jerry Calhoun, who along with being a country western musician in his earlier days, leased tour buses and kept them at the Estate. They needed some spare parts for the bus and Andrew Aycock, who had picked up his ex-wife at one of the bands shows, was going to drop her off in Florida. The bus arrived at Flying Baron Estates in Leesburg at about 8:00 a.m. on the 19th and parked approximately 90 yards away from the landing strip and approximately 15 yards in front of the house that would later serve as the accident site. On the bus were: Ozzy Osbourne, Sharon Arden, Rudy Sarzo, Tommy Aldrige, Don Airey, Wanda Aycock, Andrew Aycock, Rachel Youngblood, Randy Rhoads and the bands tour manager. Andrew Aycock and his ex-wife, Wanda,went into Jerry Calhoun’s house to make some coffee while some members of Ozzy Osbourne’s band slept in the bus and others got out and stretched. Being stored inside of the aircraft hanger at Flying Baron Estates, was a red and white 1955 Beechcraft Bonanza F-35 (registration #: N567LT) that belonged to Mike Partin of Kissimmee, Florida. Andrew Aycock, who had driven the groups’ bus all night from Knoxville and who had a pilots license, apparently took the plane without permission and took keyboardist Don Airey and the band’s tour manager up in the plane for a few minutes, at times flying low to the ground. Unbeknownst to anyone at the time, Andrew Aycock’s medical certificate (3rd class) had expired, thus making his pilots license not valid. Approximately 9:00 a.m. on the morning of March 19th, Andrew Aycock took Rachel Youngblood and Randy Rhoads up for a few minutes. During this trip the plane began to fly low to the ground, at times below tree level, and “buzzed” the band’s tour bus three times. On the fourth pass (banking to the left in a south-west direction) the planes left wing struck the left side of the bands tour bus (parked facing east) puncturing it in two places approximately halfway down on the right side of the bus. The plane, with the exception of the left wing, was thrown over the bus, hit a nearby pine tree, severing it approximately 10 feet up from the bottom, before it crashed into the garage on the west side of the home owned by Jerry Calhoun. The plane was an estimated 10 feet off the ground traveling at approximately 120 – 150 knots during impact.The house was almost immediately engulfed in flames and destroyed by the crash and ensuing fire, as was the garage and the two vehicles inside, an Oldsmobile and a Ford Granada. Jesse Herndon, who was inside the house during the impact, escaped with no injuries. The largest piece of the plane that was left was a wing section about 6 to 7 feet long. The very wing that caught the side of the tour bus, was deposited just to the north of the bus. The severed pine trees tood between the bus and the house. Ozzy Osbourne, Tommy Aldrige, Rudy Sarzo and Sharon Arden, who were all asleep on the bus, were awoken by the planes impact and (at first) thought they had been involved in a traffic accident. Wanda Aycock had returned to the bus while keyboardist Don Airey stood outside and witnesses the accident, as did Marylee Morrison, who was riding her horse within sight of the estate. Two men, at the west end of the runway, witnessed the plane buzzing the area when the plane suddenly went out of sight as it crashed. Once outside of the bus the band members learned of the catastrophic event that had just taken place. The bus was moved approximately 300 feet to the east of the house that was engulfed in flames. The band checked into the Hilco Inn in Leesburg where they mourned the death of Randy and Rachel and would wait for family members to arrive. While Orlando’s Rock Super Bowl XIV scheduled for later that day, was not canceled, the Ozzy Osbourne band would not play and the promoters offered refunds to all ticket holders. Randy Rhoads died on March 19, 1982 at age 25 but Randy Rhoads’ guitar playing could not be silenced as “Tribute” was released in 1987. Tribute, recorded live, much of it in Cleveland, OH on May 11, 1981 and Randy’s solo in Montreal in July of 1981, continued to earn him recognition as a guitar virtuoso. 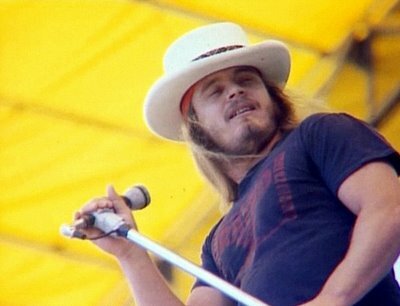 October 20, 1977 – Ronald Wayne “Ronnie” Van Zant was born on January 15, 1948 in West Jacksonville, Florida. As a member of a very musical family, brother Donnie became frontman for 38 Special, another Jacksonville based band and youngest brother Johnny took Roonie’s shoes and hat when Lynyrd Skynyrd reformed in 1987. Ronnie however was the nucleus founding member and frontman of the Southern rock group Lynyrd Skynyrd that formed in 1964. Friends and schoolmates Allen Collins, Gary Rossington, Larry Junstrom, and Bob Burns made up the original band. Lynyrd Skynyrd’s name was inspired by a gym teacher the boys had in high school, Leonard Skinner, who disapproved of students with long hair. 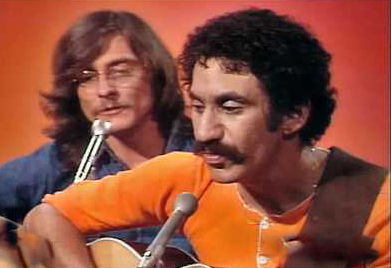 September 20, 1973 – Jim Croce was born on January 10, 1943 in South Philadelphia Pennsylvania. He had two Billboard Hot 100 chart toppers at number 1: “Time in a Bottle” and “Bad, Bad Leroy Brown.” He died in a plane crash in Natchitoches, Louisiana on September 20, 1973 an hour after he delivered a concert at Northwestern State University on route to a concert at Austin College Texas. March 5, 1973 – Michael Jeffery (39) Jeffery was born in March 1933. The only reason why he is in the line up up on this website is because he actually may have killed Jimi Hendrix. He started out as music business manager of British band The Animals and American guitarist-composer Jimi Hendrix, whom he co-managed for a time with former Animals’ bassist Chas Chandler. A former associate of noted British pop impresario Don Arden, he was and remains a controversial figure… Hendrix died in September 1970. His body was found in London at the flat of Monika Dannemann, who was Hendrix’s girlfriend at the moment and died under suspicious circumstances in 1995 in the middle of legal altercations with another former Hendrix lover, Kathy Etchingham. In May 2009 the UK media reported claims that Michael Jeffery had murdered Jimi Hendrix. James “Tappy” Wright, who was a roadie for Hendrix and The Animals in the 1960s, claimed he met Michael Jeffery in 1971, one year after Hendrix’s death, and Jeffery confessed to having murdered Hendrix by plying him with pills and a bottle of wine in order to kill him and claim on the guitarist’s life insurance. Jeffrey is quoted by Wright as telling him: “I was in London the night of Jimi’s death and together with some old friends.. we went ’round to Monika’s hotel room, got a handful of pills and stuffed them into his mouth…then poured a few bottles of red wine deep into his windpipe.” The manager was allegedly worried that Hendrix was about to sack him. He had reputedly taken out an insurance policy worth $2 million on Hendrix’ life, with himself as beneficiary. At the time of Hendrix’s death, a coroner recorded an open verdict, stating that the cause was “barbiturate intoxication and inhalation of vomit”. However Dr. John Bannister, the doctor who attempted to resuscitate Hendrix, later raised the possibility that Hendrix actually died from forced inhalation of copious amounts of red wine. Jeffery’s, who was married to actress Gillian French, was killed on his way back from Palma de Mallorca in 1973 in a mid-air collision over Nantes, France, whilst aboard Iberia Airlines Flight 504 DC-9. The air traffic control system had been taken over that day by military personnel because of a strike of the civilian controllers. December 10, 1967 – Otis Redding was born on Sept 9, 1941 in Dawson, Ga., Otis Redding, Jr. and his family moved to Macon when he was five years old. At an early age he began his career as a singer and musician in the choir of the Vineville Baptist Church. Otis attended Ballard Hudson High School and participated in the school band. He began to compete in the Douglass Theatre talent shows for the five-dollar prize. After winning 15 times straight, he was no longer allowed to compete. March 5, 1963 – Patsy Cline was born Virginia Patterson Hensley on September 8th 1932 in Gore Virginia. Her parents, forty-three-year-old Samuel Lawrence Hensley, a blacksmith, and his second wife, sixteen-year-old Hilda Virginia Patterson Hensley, had married six days before the birth. Until 1937 Hensley lived on her paternal grandparents’ farm near Elkton and with her maternal grandparents in Gore, just outside Winchester in Frederick County. The Hensley family moved nineteen times in sixteen years to various towns in the Shenandoah Valley, including Lexington, and during World War II to Portsmouth. February 3, 1959 – Jiles Perry “J. P.” Richardson, Jr. aka “the Big Bopper’ was born on October 24, 1930 in Sabine Pass, Texas. He worked part time at Beaumont, Texas radio station KTRM. He was hired by the station full-time in ’49, so he quit his law studies. Being a disc jockey, singer, and songwriter whose big voice and exuberant personality made him an early rock and roll star. Following his discharge as a corporal in March 1957, Richardson returned to KTRM radio, where he held down the “Dishwashers’ Serenade” shift from 11 am to 12:30 pm, Monday through Friday. One of the station’s sponsors wanted Richardson for a new time slot, and suggested an idea for a show. Richardson had seen the college students doing a dance called The Bop, and he decided to call himself “The Big Bopper”. His new radio show ran from 3:00 to 6:00 pm. Richardson soon became the station’s program director. February 3, 1959 – Ritchie Valens was born Ricardo Esteban Valenzuela Reyes on May 13, 1941 in Pacoima, California. Of Mexican decent he was brought up hearing traditional Mexican mariachi music, as well as flamenco guitar, R&B and jump blues. He expressed an interest in making music of his own by the age of 5. At 16, Valens joined his first band, the Silhouettes. The group played local gigs, and Valens was spotted at one of these performances by Bob Keane, the head of the Del-Fi record label. With Keane’s help, the young performer was about to have a career breakthrough.